If you love Create and recommend us to your friends (or indeed anyone), you can earn some commission for each recommendation! The Create Affiliate Program allows you to earn 10% commission on all subscription payments for each paying customer you refer to Create using the program. What's more, this lasts for as long as that customer stays with our service, so you'll just keep on earning money. There is no limit to how many subscribers you can refer! In this guide we will be covering how you can join our Affiliate Program, how to get your banners or links, how you can promote your Affiliate link and some frequently asked questions. On the left hand side of this Create profile page you will see a link to “Signup And Join Program”. Click this to continue to the Awin sign up screen. 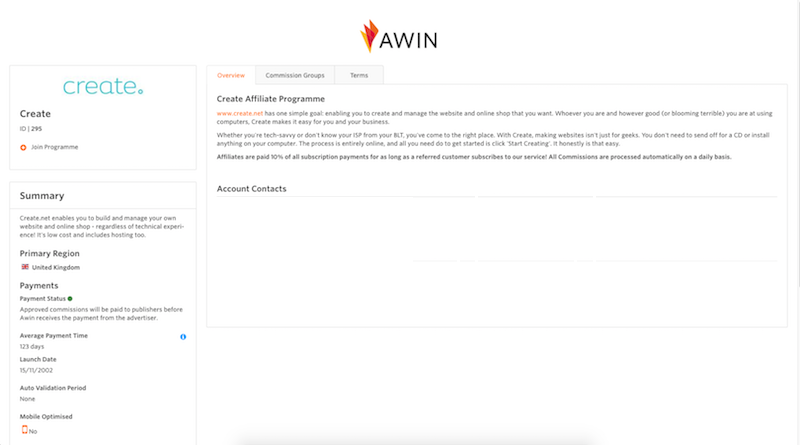 Alternatively you can visit the Awin Homepage and click “Become a Publisher” to sign up, then find the Create profile later to join the program. On the sign up screen, fill in all the required details about your own business. You don't need to enter any information about Create here. Please note that when signing up to Awin you are asked for a "Setup Fee" of £5 so that your application can be approved. This £5 is then credited back to your account with your first publisher commission payment, but only when you have met the pay threshold. Find out more about pay thresholds at the Awin Wiki article. Once your account has been approved by Awin you will need to join the Create program if you did not do so while signing up. The easiest way to do this is to go straight to Create's profile on Awin and click “Join Program” on the left hand side. Through the program you can get a simple text link or choose from a range of banners. Log in to your Awin account. On the dashboard page, click “Links & Tools” in the grey bar across the top of the page. You can then select 'Create' from your list of affiliate programs. On Create's Awin profile page click "Banners & Links", which you'll find in the menu on the left hand side. You will then see a tabbed menu where you can choose Text, Banner or other forms of links. In the Text tab you can choose to copy the HTML code and put this on your website or simply copy the URL. In the Banner tab you can choose from a range of different designs of banners and sizes. These include horizontal banners, vertical banners and buttons. Please note that to add banners and HTML text links to your site you will need to do this through the use of an HTML fragment. To get the best out of the program you should ensure that banners and links are in visible parts of your website and alongside relevant content. 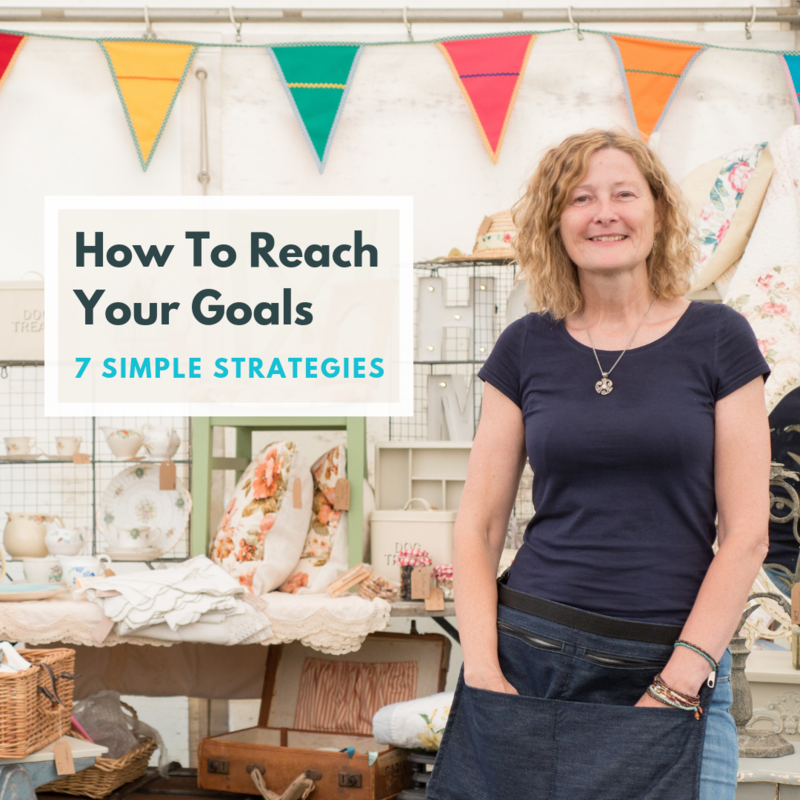 Post a banner on your website - This could be on the home page, to make sure it's seen by the maximum amount of visitors, or on another relevant page. 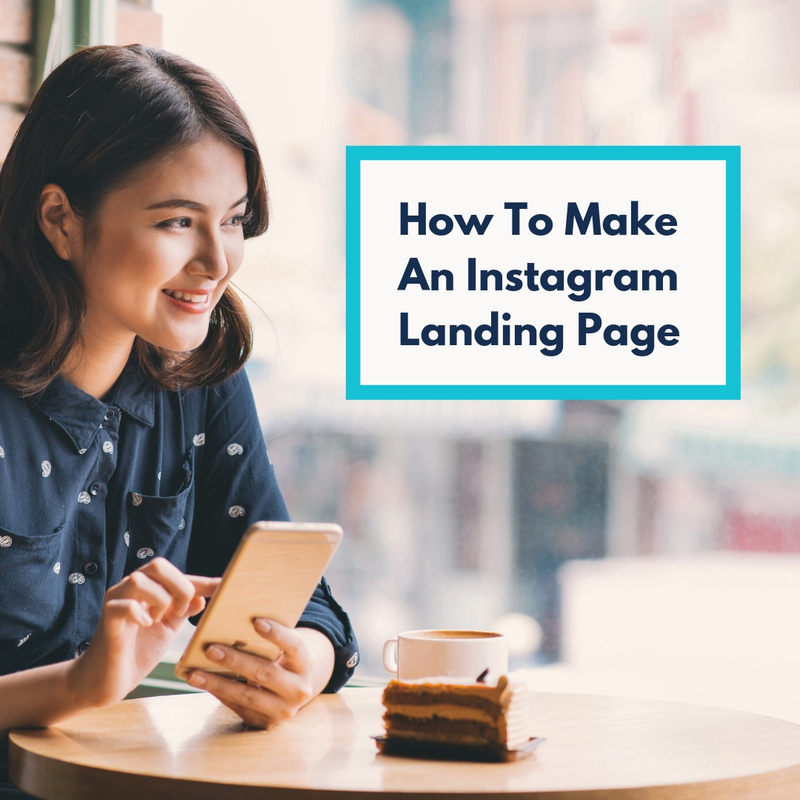 Write a blog and include the link in the text - you will get a better responseand it is a lot more useful to your users if you can write content that is of interest to them and happens to facilitate the link rather than a hard sell! Use the link in your newsletter. Share the link through your social media accounts. I'm having trouble with my Awin account. Who should I contact? If your question is not answered in this article or by the Awin Wiki it is best to get in touch with Awin in the first instance as they are the experts on the system. If your question is specifically about the Create program you can contact us. What is the difference between an Advertiser and a Publisher? You will want to register as a Publisher – they are the members of affiliate programs. The Advertiser is the company promoting themselves through the program – in this case Create. What should I select for Promotion Type? In the second page of the sign up process you are asked to select a 'Promotion Type'. If you are displaying a link on your website you could select "Content: Editorial Content" and if you are sending the link in a Newsletter you should select "Email: Newsletters." You can change this later so do not worry too much about what you select here. Can I get a banner in a different size or design? The banners are designed in standard sizes which should serve most needs. However, if you have a specific need regarding banner size or a design to fit a campaign you are running we may be able to help you with this. This has to be judged on a case by case basis. Please contact us to make your request. What if I refer someone and they use the free Create trial for longer than the initial period Do I miss out on my commission when they do subscribe? We track when a trial has come via an affiliate so you will still receive your commission when they eventually subscribe. If you have any questions about becoming a Create Affiliate, please do not hesitate to get in touch. we will be happy to help.